Watch all your favourite media on the Panasonic VIERA AS520B LED TV to experience versatile big screen entertainment. The AS520B also boasts Freetime, an exciting feature that allows you to watch programmes from the previous seven days and shows what's coming up in the next seven days. From BBC iPlayer to Netflix and over a hundred other apps, Smart TV gives you access to digital media directly on your TV. Simply connect to the web via Ethernet or the built-in WiFi adapter to explore catch-up, apps, on-demand films and more. Panasonic's Viera Remote App allows you to control your TV from a smartphone or tablet along with stream videos and send photos wirelessly to the big screen. Perfect for relaxing on the sofa or sharing media with friends, it's free to download and available on both Android and iOS. The AS520 also features Freeview HD with Freetime - perfect for making the most of the TV's impressive lifelike 1080p image capabilities. Freeview HD allows you to receive around 50 digital channels, up to 10 of which are transmitted in incredibly detailed high definition, for an impeccable viewing experience straight out of the box. It uses your internet connection to provide you with access to catch up TV services on demand, so the programmes you want to watch are ready when you are. Access over 200 channels, including sports, music and entertainment, and lets you plan ahead so you'll never miss the best shows. Your recommendations can be found at the touch of a button, and it also includes a search function to make it easy to find shows. Along with offering bright, high-contrast pictures, LED TVs are often slimmer that other TV types. 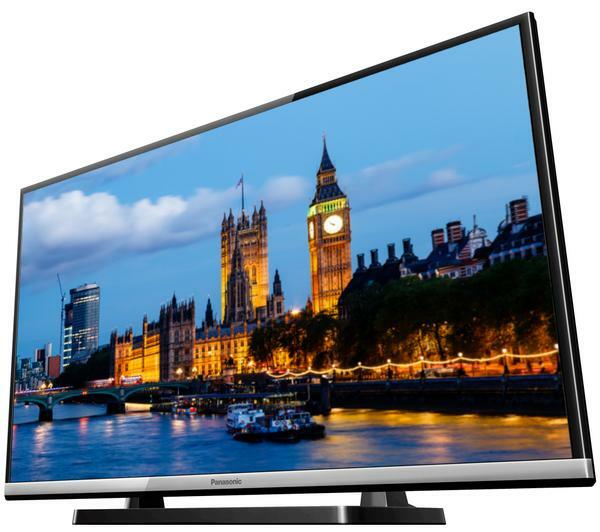 The Panasonic AS520 is no exception and features a discrete frame that not only looks great but reduces the overall size of the TV. An A+ power rating means it won't cost a fortune to run either, making for impressive yet efficient entertainment. Whether you're gathering round to watch sports with friends, watching the latest Blu-ray blockbuster with a loved one or simply relaxing with the soaps, you can expect smooth, fluid pictures courtesy of 100 Hz Black-Light-Blinking technology. Designed to reduce motion-blur during high-speed and intense scenes, you can enjoy the immersion of HD TV without distraction. Connecting your Blu-ray player, DVD player, console and anything else you have is simple with HDMI, SCART, component and composite connectivity. Plus, a USB port lets enjoy video, music and photos from memory sticks and external hard drives in full HD.